These six countries with a top credit rating are Germany, France, the Netherlands, Austria, Finland and Luxembourg. One of ways suggested during the talks was that these countries` governments should provide financial guarantees to the EFSF. Now the EFSF is backed by a 440-billion-euro guarantee by euro zone governments. But under current rules, it can raise only just over half that amount in rescue loans, with the rest kept back as collateral to ensure a triple-A credit rating. Earlier this week, euro zone finance ministers meeting in Brussels failed to agree on a proposal by the EFSF- the main plank of the 750-billion-euro fund - should be beefed up. Germany makes the largest financial contribution to the EU budget. Opinion polls show that 62% of Germans disapprove of the idea to boos financial support to EU countries with budget deficit. “We do not need this euro! If things go this way further, rich donor-countries will go bankrupt!”, a comment left on the Spiegel forum reads. The government held an urgent meeting last May to approve the EU`s euro stabilization program, which provoked criticism from the German Taxpayers Union. Criticism was aimed at Chancellor Angela Merkel personally. However, currently 61% of German citizens approve Frau Merkel`s policy amid the euro crisis, thus justifying her strategy labeled by Eurogroup head Jean-Claude Juncker as 'non-European'. Mr. Juncker reiterated Merkel`s opposition to the idea – which he so vigorously supports- of issuing common European bonds to help out highly-indebted countries struggling with crippling interest rates on their debt. This idea is mainly backed by south European countries. If the EU-established debt agency emitted these bonds, guarantees would be provided by all members of the euro zone, thus allowing weaker countries receive loans on better terms since countries with A-credit ratings would be responsible for paying off. France also rejected the idea of euro bonds. Merkel and French leader Nicolas Sarkozy agreed that it would be more important to have more coherence in economic policy. However, France and Germany have not yet discussed the ways out of crisis- apparently, because there is an unspoken rule in Berlin that a coalition of 'spendthrift southern countries' is led by Paris. This coalition comprises Greece, Spain, Italy, Belgium and Ireland. Not only German Taxpayers Union but also some German economists criticized a €110 billion bailout to Greece. Markus Kerber, professor of finance at Berlin Technical University, said in a radio interview that it would be more logical to admit Greece`s bankruptcy and give it money to quit the euro zone. Kerber and several more economists shared their idea of dividing the euro zone as this move would enable Germany to form a currency union with Finland, the Netherlands, Luxembourg and Austria. 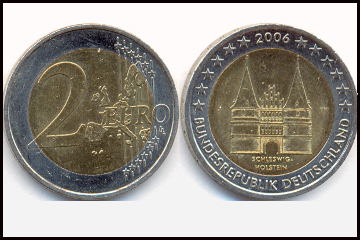 Kerber blamed France for the collapse of the previous currency union. Looking for countries which can be attracted to a new currency union and support Berlin in European debates, the German government attempted to push some countries of Central Europe to join the euro zone. When the Czech Prime Minister Petr Necas visited Berlin in September of 2010, Mrs. Merkel said greeting him: “We would be glad to see you in the euro zone”. However, the guest did not seem to be enthusiastic about the invitation and later explained that his country would decide on its own whether to join the euro zone. “I do not think this will happen soon. At least, no sooner than I step down as Prime Minister”, Mr. Necas added. The President of the Czech Republic Vaclav Klaus, a well-known skeptic, told his German counterpart Christian Wulff that ''now nobody wants a shift to euro''. Chief economist at Patria Finance agency David Marek thinks that neither Prague nor the euro zone itself is ready for such a move. States comprising the euro zone should find other ways to ensure stability of their currency, while the Czech Republic is facing other tasks to be solved. The Polish Prime Minister Donald Tusk received the same greeting from Frau Merkel when came to Berlin in December of 2010. Unlike his Czech counterpart, Mr. Tusk seemed more friendly but also said that was unlikely for Poland to join the euro zone before 2015. Opinion polls show that only 30% of Poles approve a shift to euro. Head of Poland`s Central Bank warned the country`s leaders from making hasty decisions, describing the European currency as 'ambitious but yet weak project'. Hungary did not approve the idea either. Its Economics Minister Gyorgy Matolcsy said that giving people a million of job places and improving the economic situation was a priority for Budapest. Romania and Bulgaria have suspended their plans due to financial difficulties. Slovakia is named among those few countries that back Berlin`s tough position. Bratislava joined the euro zone in 2009. However, many people here are not happy with it. On August 12, 2010, Slovak parliament voiced against a bailout to Greece, which proved its skepticism towards the European currency. Meanwhile, last month Slovak Parliament speaker Richard Sulik called on the government to make concrete decisions about quitting the euro zone: “The main aim is to stop trusting blindly European leaders and be ready to shift back to crown”. The money needed for euro safety is not the only cause of growing skepticism in Central Europe. It is important since the crisis broke out, these countries have learned to appreciate an opportunity to have an independent financial policy – a privilege they would be lacking when in the euro zone. During the crisis the currencies of Poland and the Czech Republic fell against euro thus allowing both countries support their industries. Countries with high foreign debts demonstrate strong interest in euro. Estonia joined the euro zone on January 1, 2011, and its external debt is 116% of the GDP. That is why, despite having exemplary budget, Estonia is running the risk of following in the footsteps of Ireland. German financial experts seemed to be indifferent about Estonia's membership in the euro zone, while ordinary Germans suspected that Estonian government deceived Europe. Meanwhile, European Commission President Jose Manuel Barroso urges Germany to demonstrate more solidarity. Speaking in Stuttgart, he said: “Either we sail together or sink alone...We should be aware that...there is no stability without solidarity and no solidarity without stability”. History proves that current leaders of Germany cannot resist such pressure. Mrs. Merkel officially rejected the idea of dividing the euro zone into south and north, and a shift to mark. To promote its policy, Germany needs allies badly. So,probably, that is why Angela Merkel voiced support to the French initiative of forming a common European economic government. Undoubtedly, to strengthen the positions of the European Commission and maintain US influence in Europe it appears to be the best scenario when Germany pays for others just to stay 'good Europeans'. 136: 30 seconds to mars. Germany worried about euro safety burden28 January 2011: Germany worried about euro safety burden! лучшие комедии. Germany worried about euro safety burden.